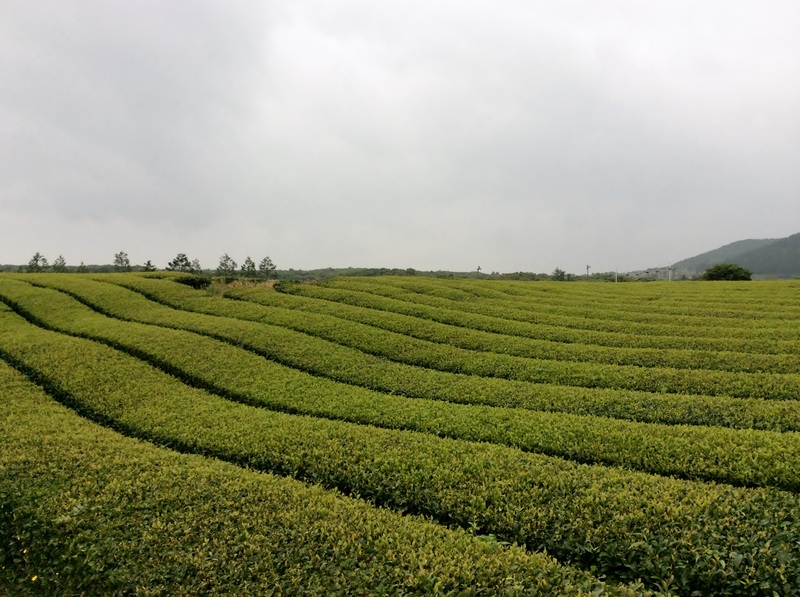 Asians, especially Chinese, love the tea as the green tea has long been cherished as a secret of keeping good health. 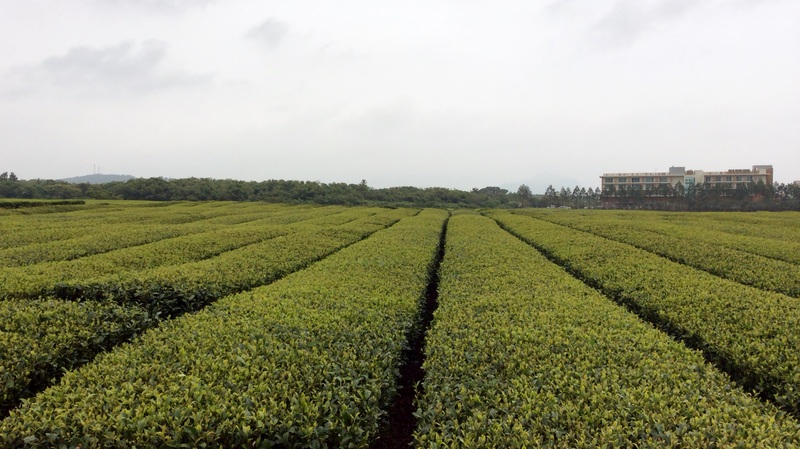 Ever since AmorePacific Inc. planted tea trees in Seogwang-ri in 1950s after the Korean War, tea leaves in Jeju have been harvested and produced here in Jeju Island. 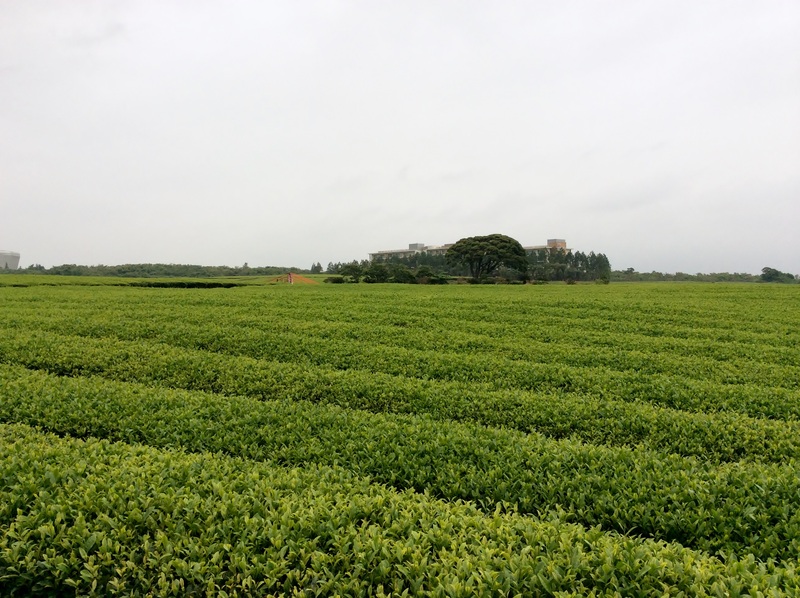 Since most of the reviews in the internet focused only on the O’sulloc Tea Museum itself, I decided to see the tea farm thoroughly rather than the tea museum. 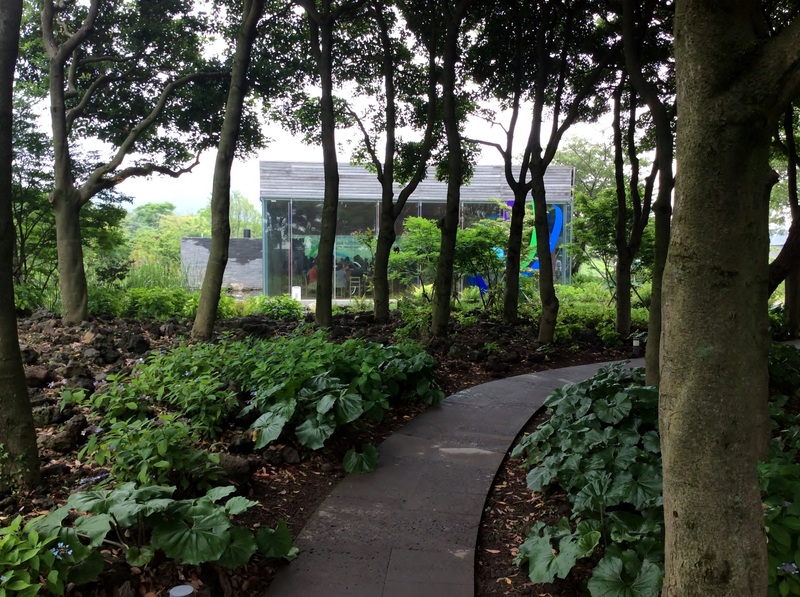 Sunday was a time for a bustling crowds, and Chinese tourists were waiting in long line inside the museum just to buy the green tea ice cream and stuffs the museum sold. I quickly looked around and came out. 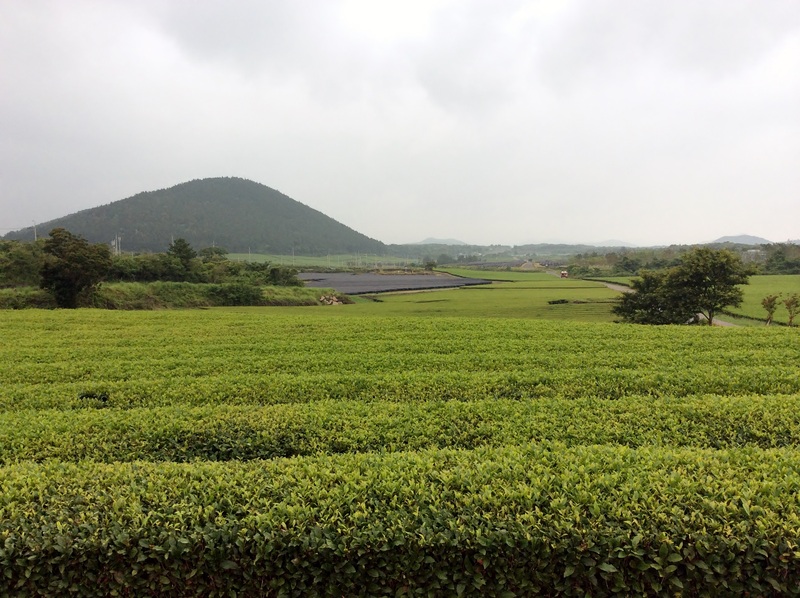 Scenery of Osulloc Tea Farm seen from the top of the museum. 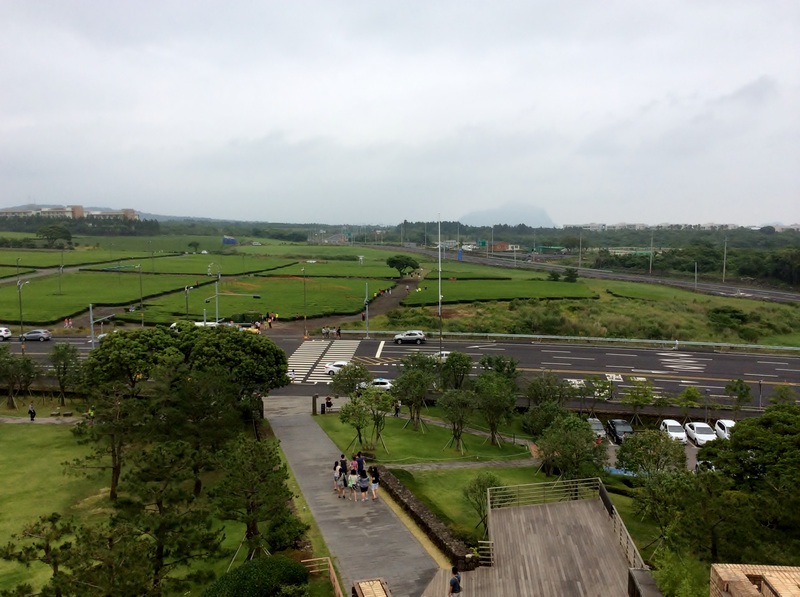 Huge building on the right is newly built Jeju Aeronautics Museum(JAM). 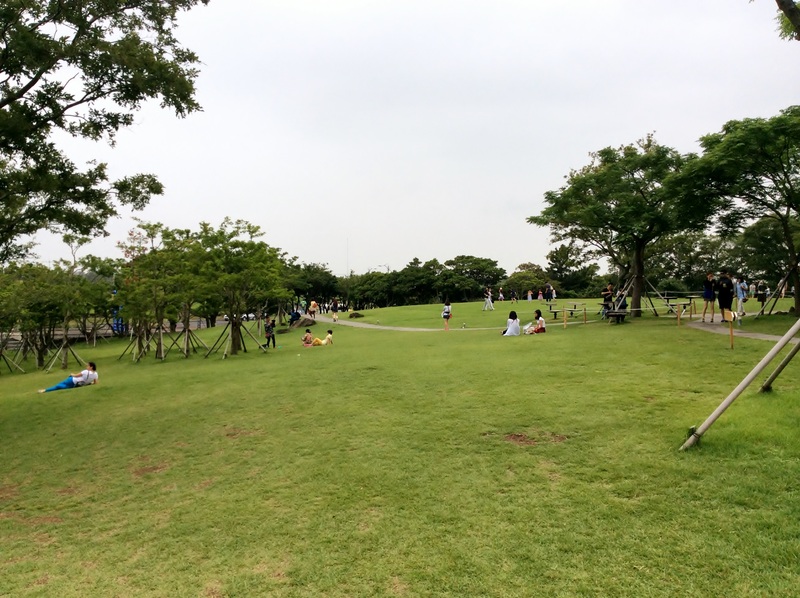 I took a walk around quickly to avoid putting too many people in the photo. 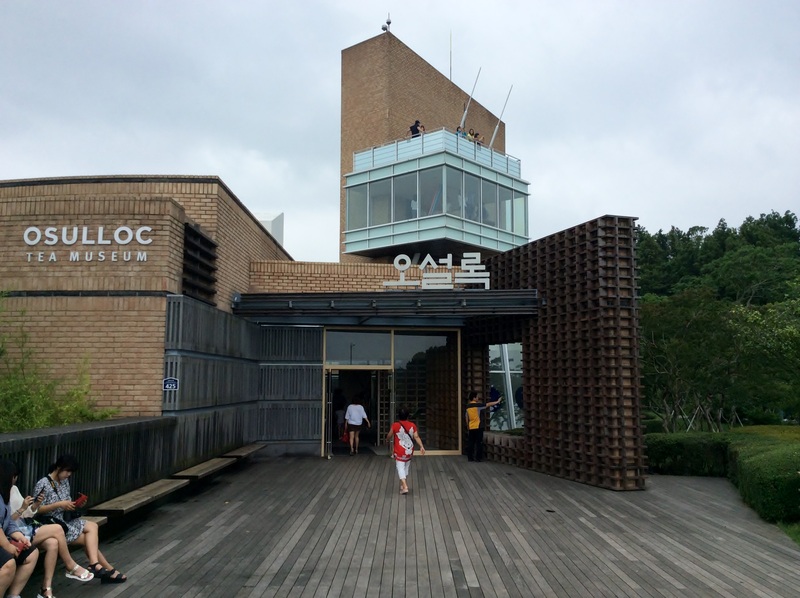 There were few things you could do in the museum, such as having an ice cream inside the cafe, making the soap, watching the displayed objects inside the museum and purchasing souvenirs. As the museum was too crowded, I couldn’t take the photos I wanted. 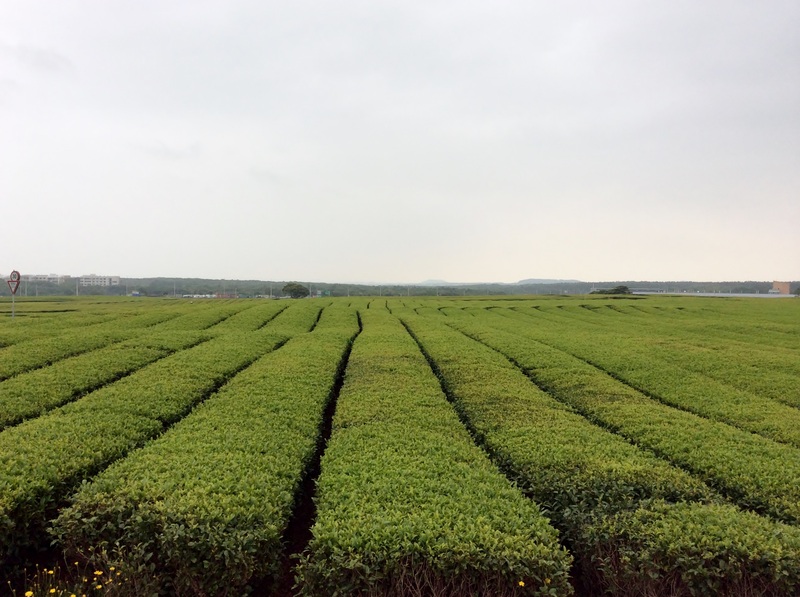 I decided to move to the farm. 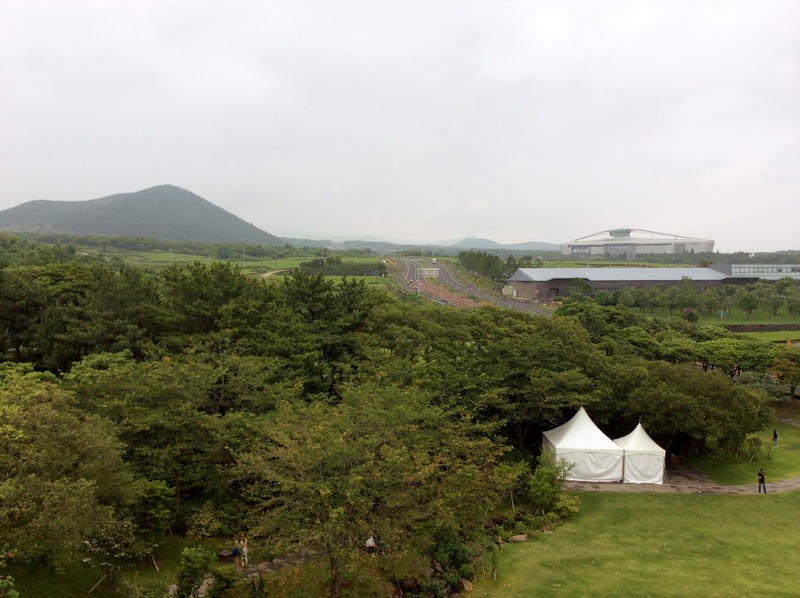 After spending some time around the museum, I headed to the farm where no one could be seen. 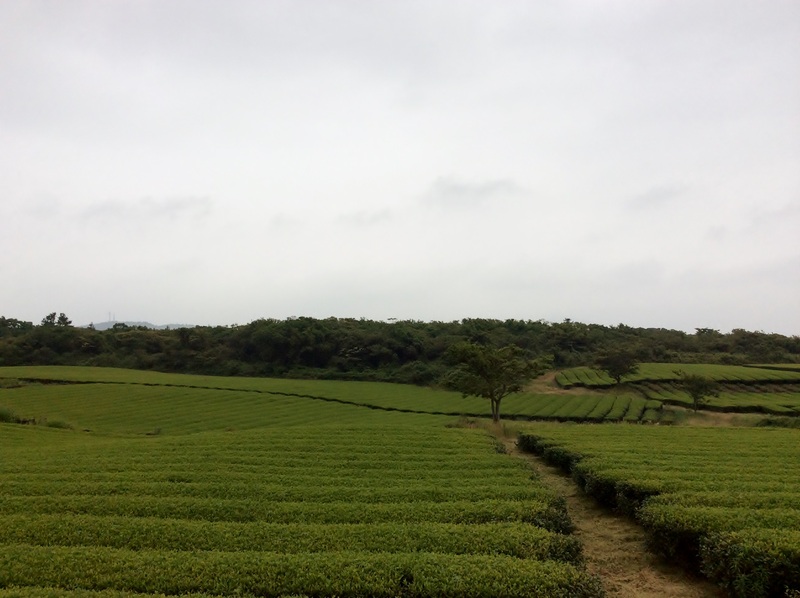 After all, It was the farm which mattered, and the sight of the tea leaf farm was splendid indeed. 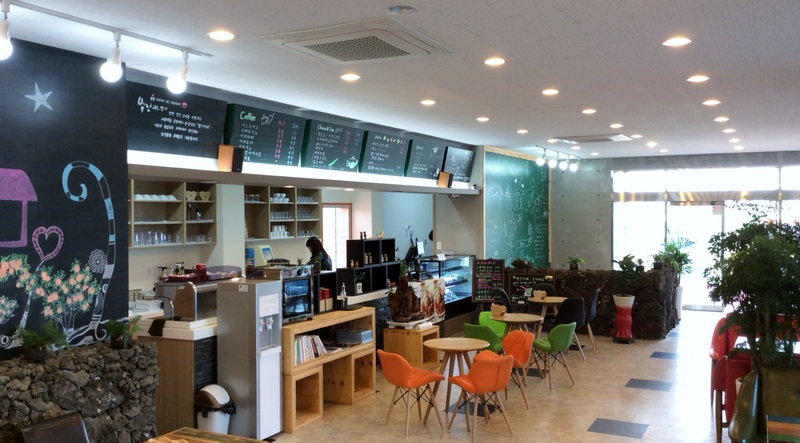 After wandering around the farm for quite a while, I headed to the ‘별난카페(byul-nan-cafe), which was bulit and managed by a village CO-OP. As I heard from my friend that the blueberry Bing-Soo tasted awesome with lots of blueberries, I decided to have it and my lips turned blue after having this tasty Bing-Soo. 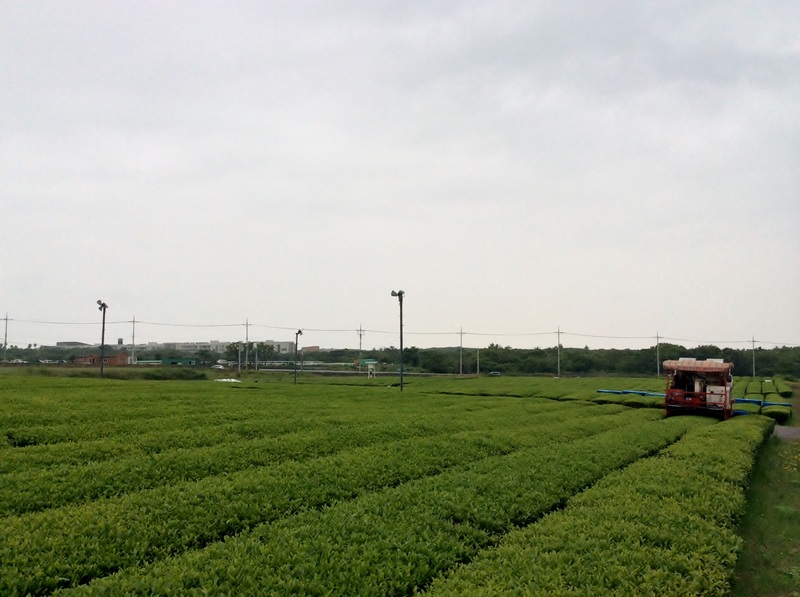 Overall, visiting O’sulloc Green Tea Farm was a good choice. 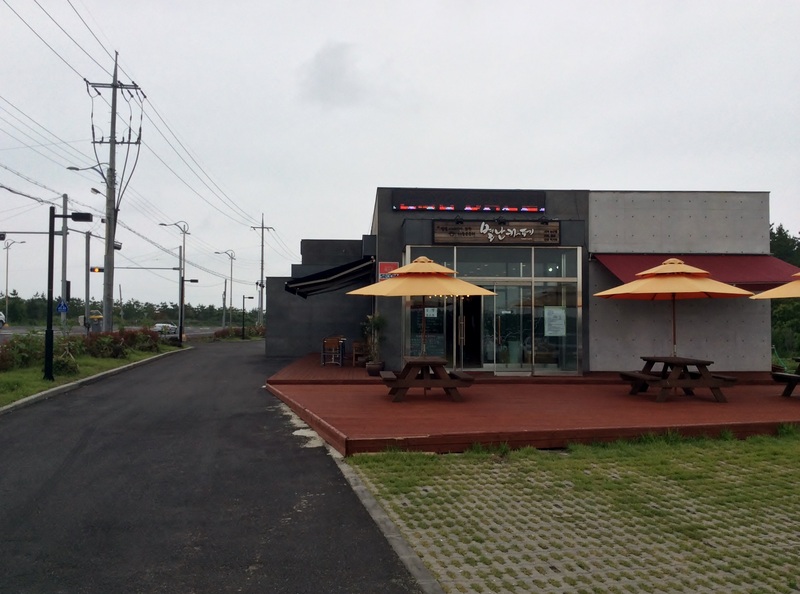 After having a blueberry bing-soo, I headed to Sanbangsan which was quite close to O’sulloc.